Back in February 2017, SimBin Studios UK announced the relaunch of the famous GTR series and iconically named the upcoming title GTR3. The new game for the PC, Xbox One and PlayStation 4 would be powered by the popular Unreal 4 game engine. Back then, Producer Allan Speed stated that GTR3 was scheduled for release in 2018 and that a first playable version of the game should be available six months later. 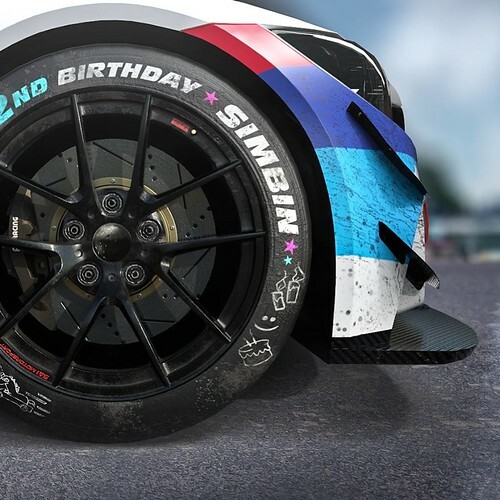 As we all know by now, things did not work out as planned, but the SimBin Studios UK team is confident that the GTR3 title will be ready for (Early Acces?) release by the second quarter of 2019. 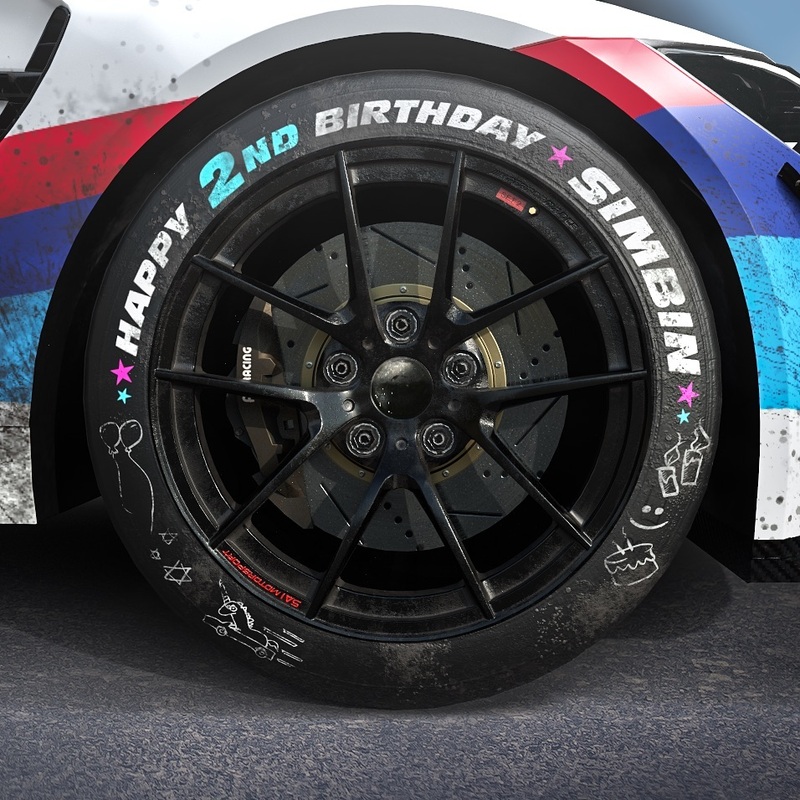 About a month ago, SimBin Studios UK published a public teaser screenshot showing us an in-game GTR3 model of the Aston Martin Vantage V12 GT3 as raced in the German VLN by the Young Driver AMR Team. Today SimBin Studios UK published two new teaser screenshots in honor of their 2nd Birthday celebration showcasing a BMW GT car render with a very original tire on its rim. As with the previous teasers, this still does not make us any wiser, regarding the actual game content coming to the GTR3 title. We will keep you posted when more news or media become available. We’re celebrating our 2nd Birthday next week @simbinuk. What a journey we’ve had!